Virginia Tech won 103-79. 2K Classic, Madison Square Garden. Photos by: Chen Jiang. 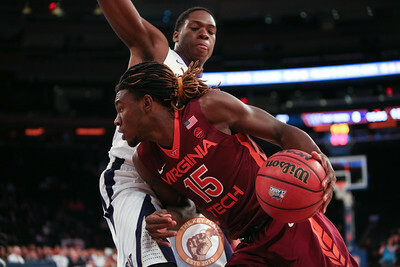 Virginia Tech's forward Chris Clarke (15) drives on a Washington defender in Madison Square Garden, Nov. 17, 2017. Virginia Tech won the game 103-79. 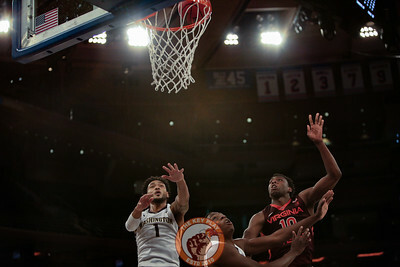 Virginia Tech's guard Justin Robinson (5) shoots a layup past Washington's forward Dominic Green (22) in Madison Square Garden, Nov. 17, 2017. Virginia Tech won the game 103-79. 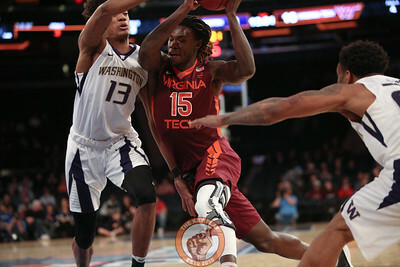 Virginia Tech's forward Chris Clarke (15) drives past Washington's forward Hameir Wright (13) in Madison Square Garden, Nov. 17, 2017. Virginia Tech won the game 103-79. 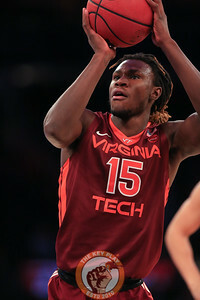 Virginia Tech's forward Chris Clarke (15) takes a shot during play against Washington in Madison Square Garden, Nov. 17, 2017. Virginia Tech won the game 103-79. Virginia Tech's guard Justin Bibbs (10) looks to pass as Washington's guard David Crisp (1) defends in Madison Square Garden, Nov. 17, 2017. Virginia Tech won the game 103-79. 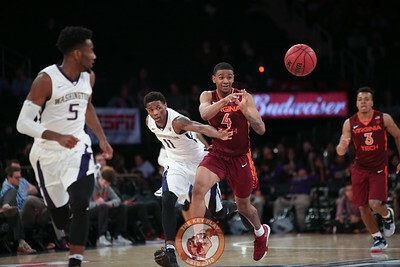 Virginia Tech's guard Nickeil Alexander-Walker (4) handles the ball as Washington's guard Jaylen Nowell (5) defends in Madison Square Garden, Nov. 17, 2017. Virginia Tech won the game 103-79. 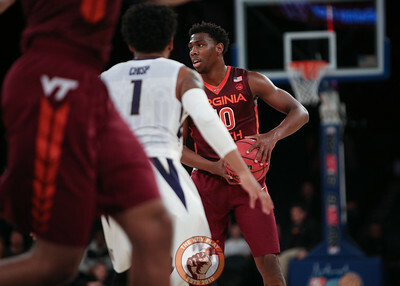 Virginia Tech's guard Justin Bibbs (10) shoots during play against Washington in Madison Square Garden, Nov. 17, 2017. Virginia Tech won the game 103-79. 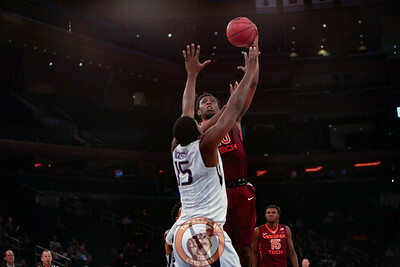 Virginia Tech's guard Justin Bibbs (10) shoots over Washington's forward Noah Dickerson (15) in Madison Square Garden, Nov. 17, 2017. Virginia Tech won the game 103-79. Virginia Tech's guard Justin Bibbs (10) and Washington's guard David Crisp (1) look for a rebound under the basket in Madison Square Garden, Nov. 17, 2017. Virginia Tech won the game 103-79. Virginia Tech's guard Ahmed Hill (13) shoots over Washington's guard Jaylen Nowell (5) in Madison Square Garden, Nov. 17, 2017. Virginia Tech won the game 103-79. 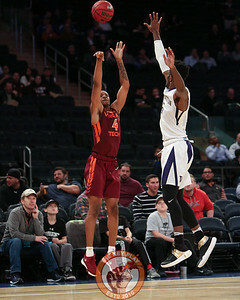 Virginia Tech's guard Ahmed Hill (13) shoots during play against Washington in Madison Square Garden, Nov. 17, 2017. Virginia Tech won the game 103-79. 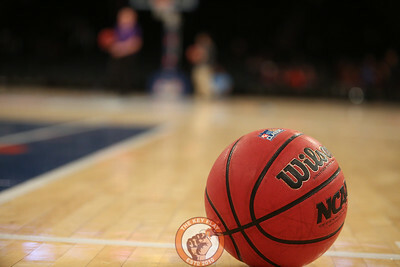 A ball on the court during play between Virginia Tech and Washington in Madison Square Garden, Nov. 17, 2017. Virginia Tech won the game 103-79. Virginia Tech's guard Ahmed Hill (13) shoots over Washington's guard Matisse Thybulle (4) and forward Nahziah Carter (11) in Madison Square Garden, Nov. 17, 2017. Virginia Tech won the game 103-79. 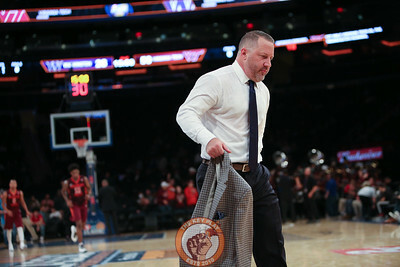 Virginia Tech head coach Buzz Williams walks off the court in Madison Square Garden, Nov. 17, 2017. Virginia Tech won the game 103-79. 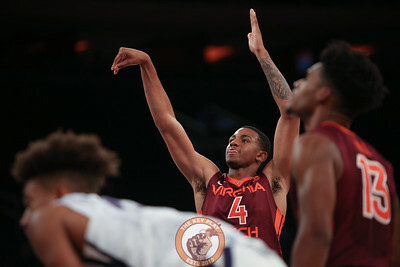 Virginia Tech's guard Justin Robinson (5) shoots against Washington in Madison Square Garden, Nov. 17, 2017. Virginia Tech won the game 103-79. 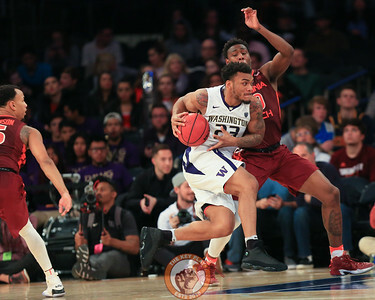 Washington's guard Carlos Johnson (23) drives against Virginia Tech's guard Justin Bibbs (10) in Madison Square Garden, Nov. 17, 2017. Virginia Tech won the game 103-79. 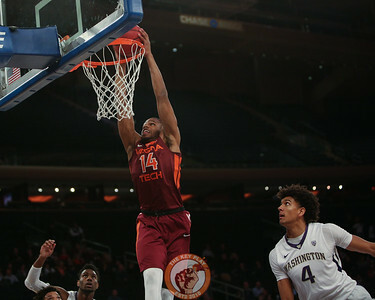 Virginia Tech's guard Tyrie Jackson (1) drives over Washington's forward Noah Dickerson (15) in Madison Square Garden, Nov. 17, 2017. Virginia Tech won the game 103-79. 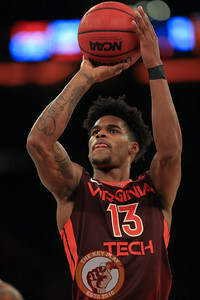 Virginia Tech's forward P.J. Horne (14) dunks past Washington's guard Matisse Thybulle (4) in Madison Square Garden, Nov. 17, 2017. Virginia Tech won the game 103-79. 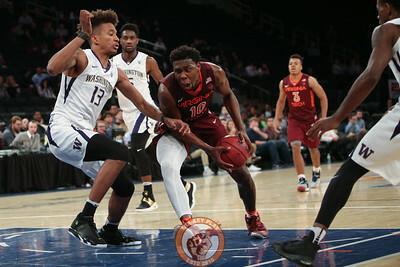 Virginia Tech's guard Justin Bibbs (10) drives past Washington's forward Hameir Wright (13) in Madison Square Garden, Nov. 17, 2017. Virginia Tech won the game 103-79. Virginia Tech's guard Nickeil Alexander-Walker (4) passes the ball as Washington's forward Nahziah Carter (11) defends in Madison Square Garden, Nov. 17, 2017. Virginia Tech won the game 103-79. 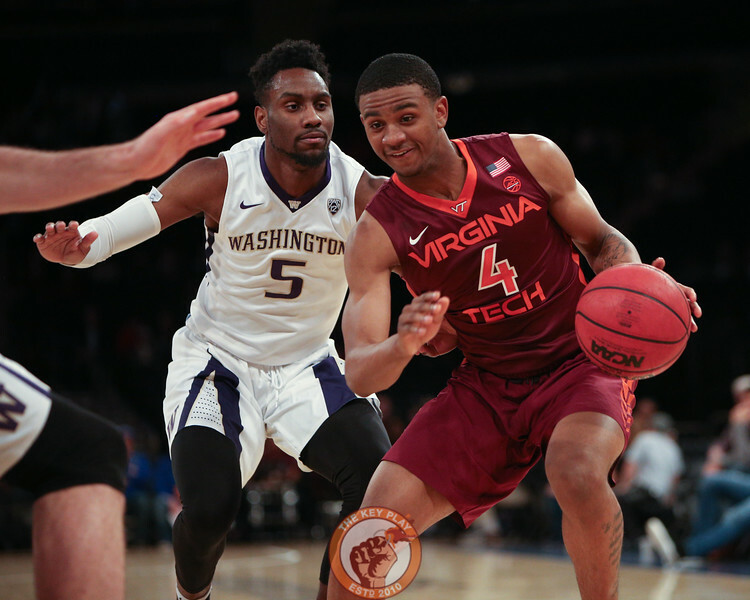 Virginia Tech's guard Nickeil Alexander-Walker (4) shoots against Washington in Madison Square Garden, Nov. 17, 2017. Virginia Tech won the game 103-79. Virginia Tech's guard Nickeil Alexander-Walker (4) shoots over a Washington defender in Madison Square Garden, Nov. 17, 2017. Virginia Tech won the game 103-79. 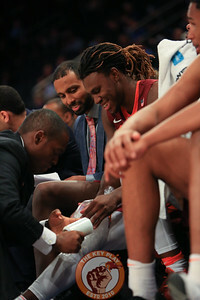 Virginia Tech's forward Chris Clarke (15) gets his leg taped during play against Washington in Madison Square Garden, Nov. 17, 2017. Virginia Tech won the game 103-79. 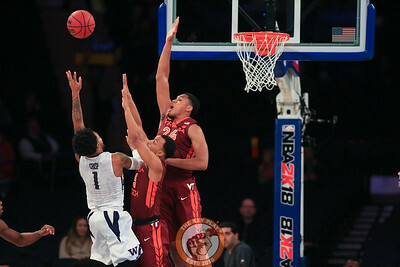 Washington's guard David Crisp (1) lofts a shot over Virginia Tech's guard Justin Robinson (5) and forward Kerry Blackshear Jr. (24) in Madison Square Garden, Nov. 17, 2017. Virginia Tech won the game 103-79.